Prominent Scorpius with the bright reddish star Antares is just above the southern horizon. 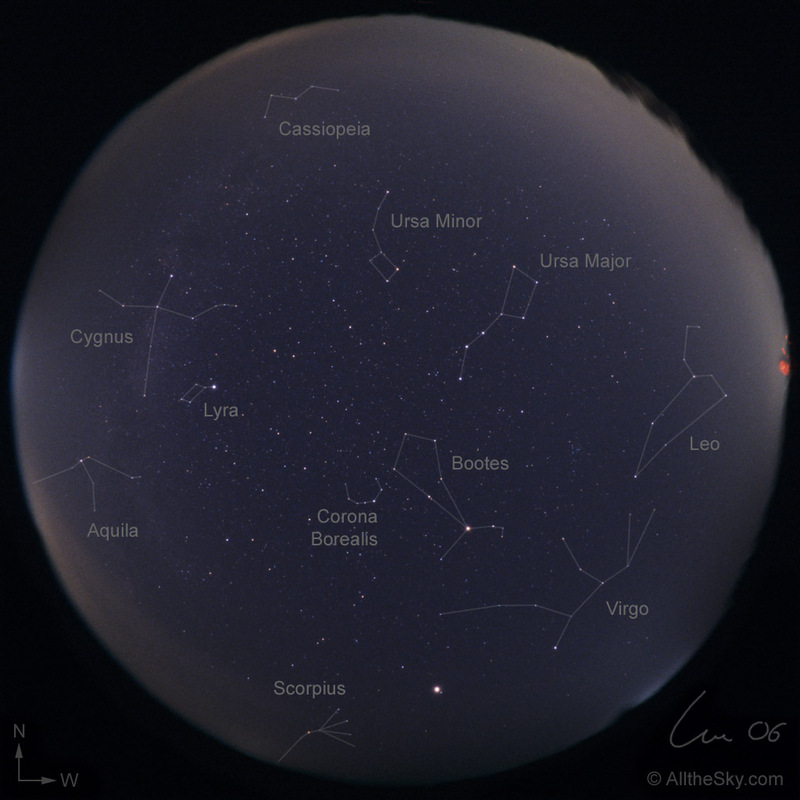 Conspicuous Bootes reaches its highest point and the summer triangle with the constellations Cygnus, Lyra, and Aquila rise in the east. On the other hand we have Leo saying "good bye" in the west. The above photography from 2006 shows bright Jupiter in Libra, between Scorpius and Virgo.